Is your cat, having runny eyes, sneezing and constantly licking the discharge from her nose? 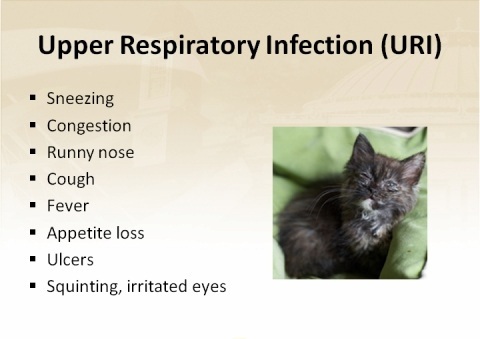 This shows that your kitty is suffering from Upper Respiratory Infection (URI). URI infection can be caused by bacteria. The most common of these are Bordetella bronchiseptica and Chlamydophilia felis. There may be one more contributing factor, a very rare a bacterial infection called Mycoplasma. Cats with feline immunodeficiency virus and feline leukemia virus are much more prone to getting URIs than others. URI can be caught by the kittens very easily and put them in danger, if they have not developed full immunity or been vaccinated. Even the senior cats may also be more likely to develop upper respiratory infections. 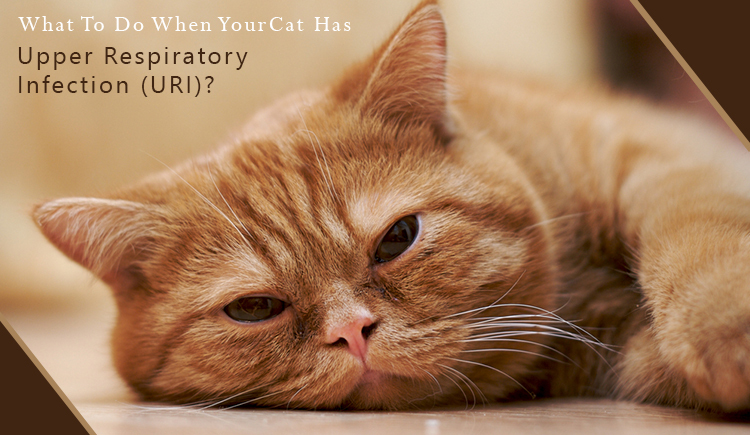 What To Do If Your Cat Is Suffering From URI? First and foremost you need to take your cat to the vet, so that he can diagnose and determine whether your kitty’s infection is viral or bacterial. If it is bacterial your vet can prescribe you antibiotics to prevent any other bacterial infections from springing up. If it is viral, you may need to take a good care of your cat at home. How To Take Care Of Your Cat Having Viral URI? Increase humidity: You can use a humidifier or you can take your furry pal into a steamy bathroom for10 to 15 minutes for few times in a day. This will help to loosen up the discharge in the lungs and nose. Clean The Discharge: You need to clean the discharge from the nose and eyes, Wipe off the eye boogers and snots gently with soft moistened clot. make sure you don’t hurt them by rubbing it to harshly. Offer Canned Food: Serve canned food, especially containing fish in it. You need to follow this three steps for at least seven days. You can prevent your cat from getting an URI by giving her/him regular vaccinations of FVRCP (Feline Viral Rhinotracheitis/Calicivirus/ Panleukopenia) shot.